Students, hobbyists and electronic enthusiasts looking to control motors, servos, solenoids and more using the BBC micro:bit mini PC might be interested in a new arrival at the Adafruit store which takes the form of the CRICKIT for micro:bit. 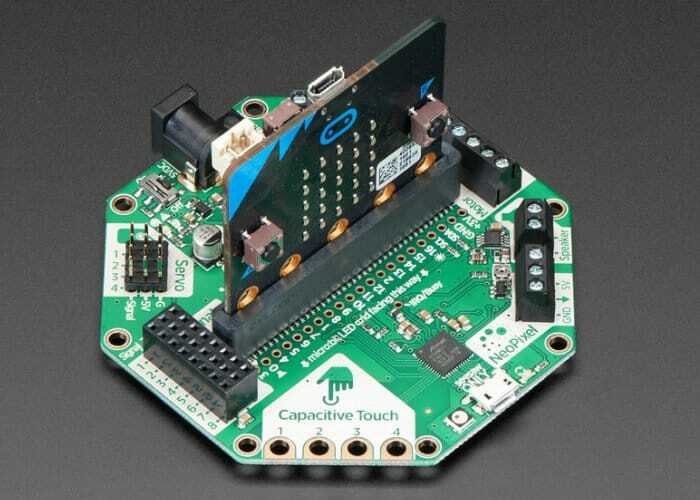 Adafruit explains the Crickit is “powered by seesaw, our I2C-to-whatever bridge firmware. So you only need to use two data pins to control the huge number of inputs and outputs on the Crickit. All those timers, PWMs, sensors are offloaded to the co-processor.” For more details and purchasing options jump over to the official Adafruit online store where the CRICKIT for micro:bit is now available to purchase priced at $29.95.